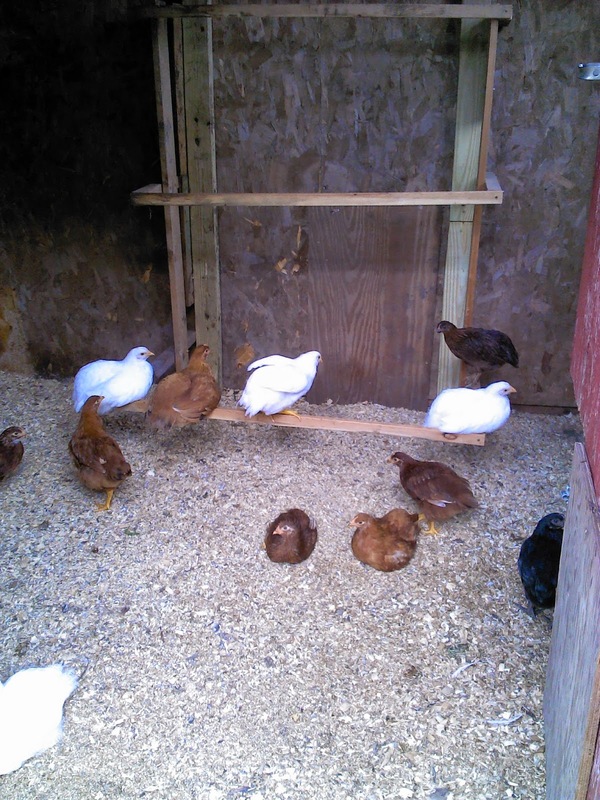 One of my huge homesteading goals for this year was to get laying chickens. So far, this is one of the best things I have ever done! The chickens have been fairly easy even though we had a rocky start together, but all in all I can't wait to try meat chickens in a year. We had a rough start when they came home. We thought we had their crate warm enough, but evidently not. We lost three due to failure to thrive and four to being too cold. 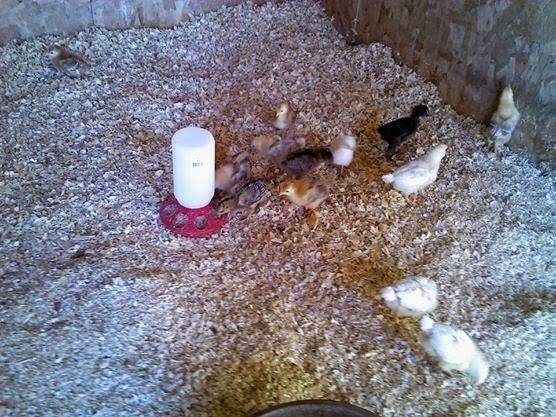 We rigged a heat lamp into the crate and had very happy chicks. We had 16 to start with, we lost 7, and I bought 5 more bring the total to 14 hens. They outgrew their crate about two weeks after they came home. Rob and I (mostly Rob) got the old dog room ready for the chicks after we moved the dog to the garage. 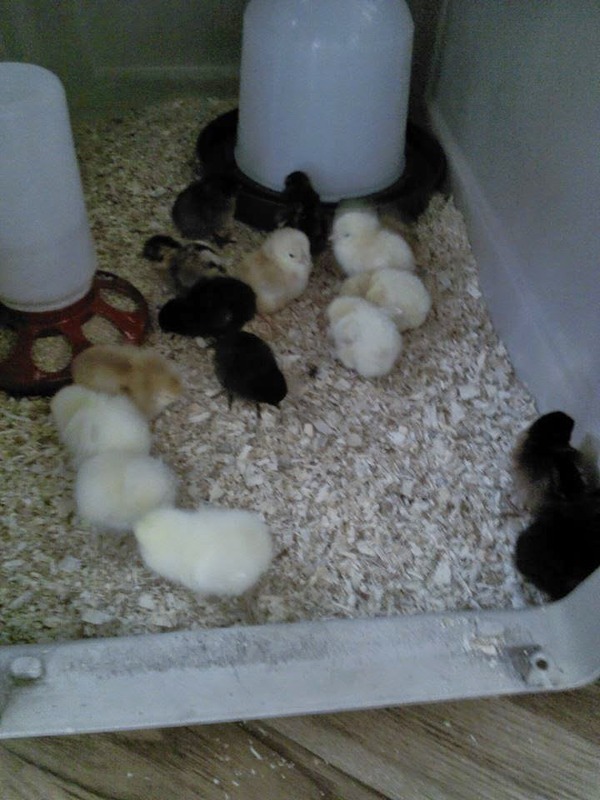 I moved the chicks in there and they loved the extra room. 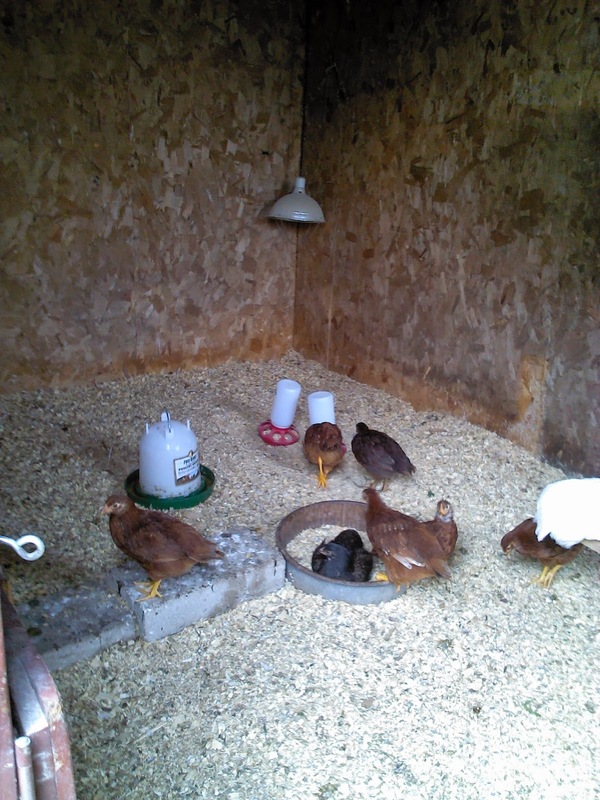 We kept them cooped up with the heat lamp for another two weeks until we built the outdoor area. 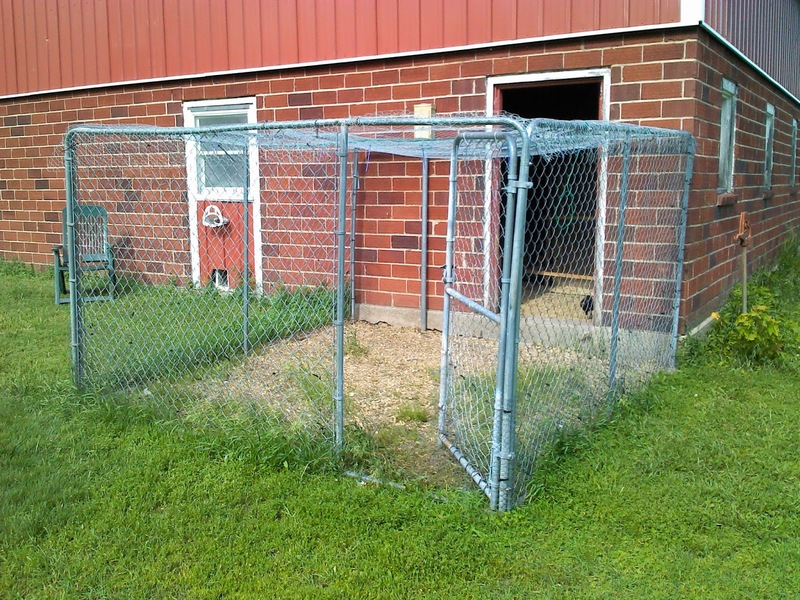 We used a 10' x 10' dog kennel that was given to me and surrounded most of it with chicken wire fencing and zip ties. 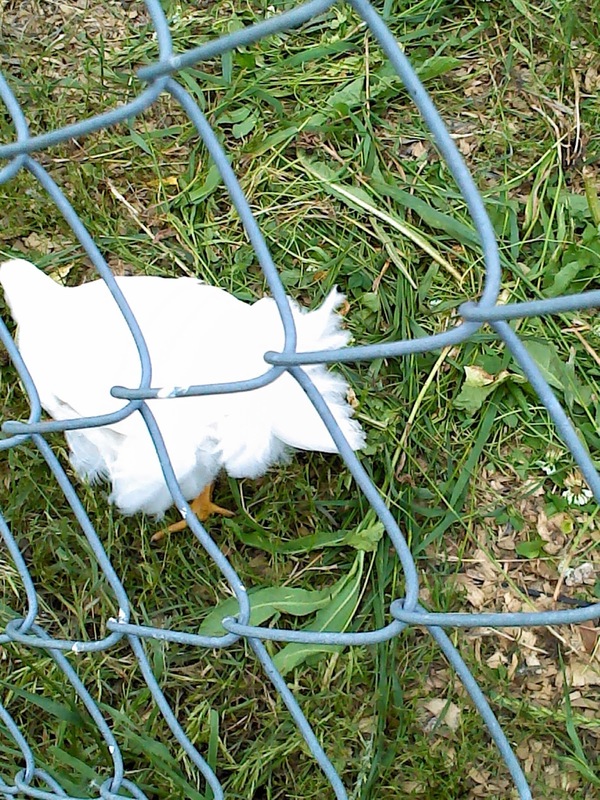 We curled the chicken wire fencing around the open area to they couldn't get out and the cats couldn't get in. We used a piece of conduit cut up to set the kennel on to keep it in place. We also fixed the door so only a small pet door could be open while the big door stayed closed (The whole door is open in the picture). 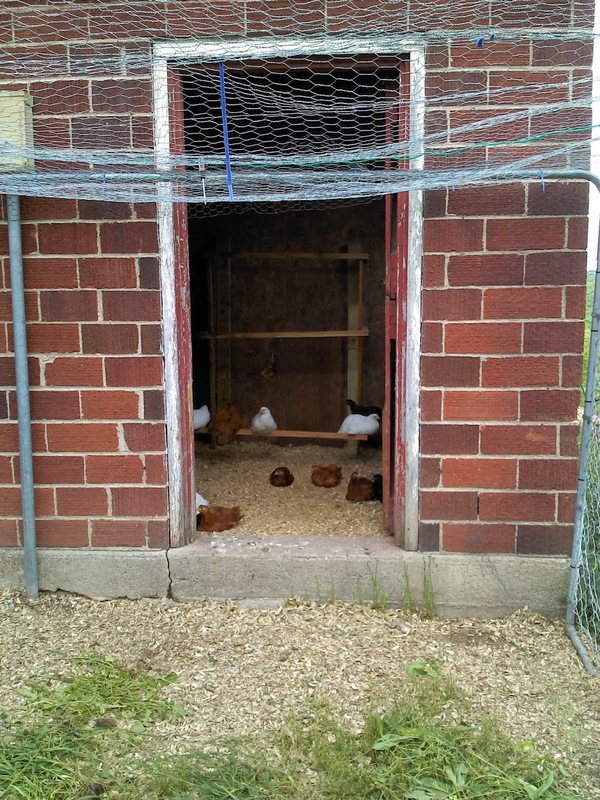 A look inside their coop and a view of the newly built, but not very good roost. However, they love the roost! A look inside the rest of the coop. Next up is building the nesting boxes along the far wall. 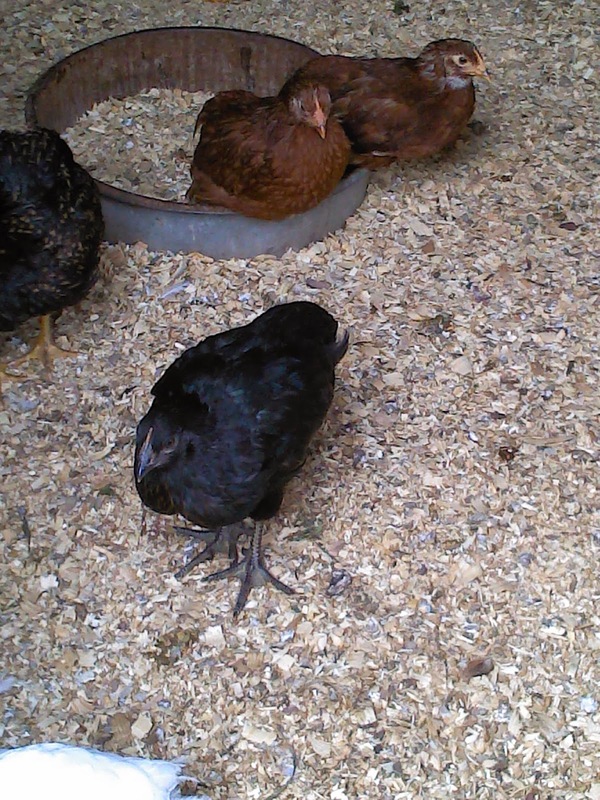 The only black hen to survive. She is one of my favorites, but she is pretty sassy! This hen does not sit still. She is the boss of the flock! They love the outdoor area. I threw some of my pulled weeds into there. They love to much on those! 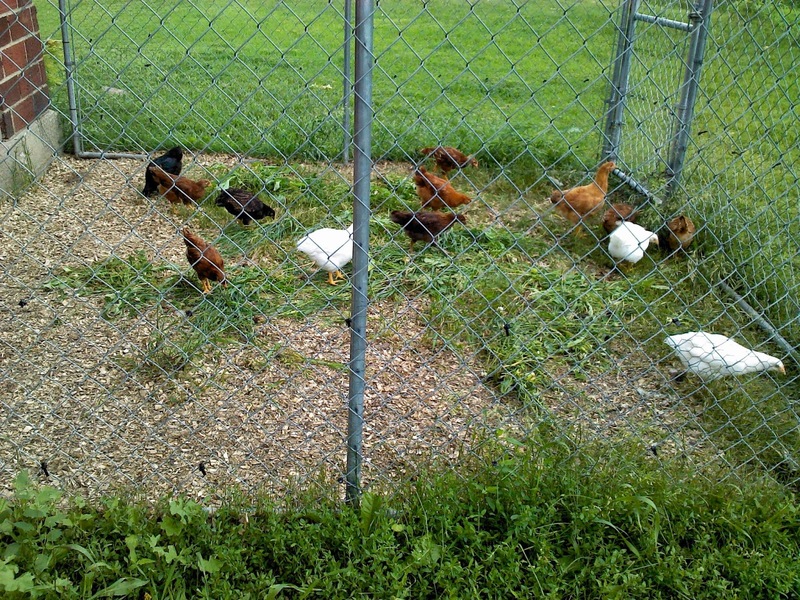 We have been letting them out of the outdoor area and free range a bit. I would like to let them free range all the time, but we have predators and cats. I am also still training Holly the dog to not chase them too! All in all, I am extremely happy I took this step! I recommend to just about everyone and can't wait for the eggs to start coming!